President Recep Tayyip Erdoğan says Turkey will receive Russian S-400 missiles this July. President Erdoğan said Thursday his country would not make a U-turn on its deal to purchase Russian S-400 air defense systems. "WE HAVE LEFT CRISES BEHIND US"
"We finished this business. 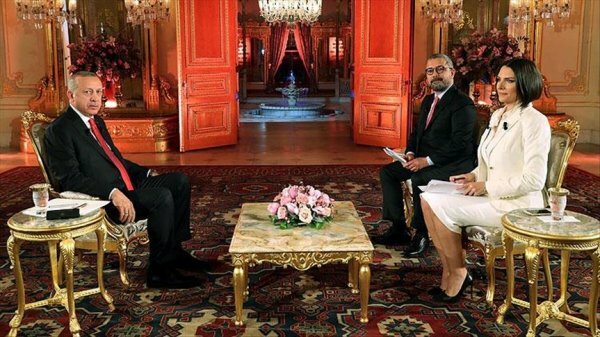 For us, taking a step back here is out of the question," President Erdoğan told news channel Haberturk about the purchase. He said Russia will deliver the missiles in July. He added Turkey is also not closed to offers from the US on purchasing the Patriot air defense systems. US officials suggested Turkey should buy US Patriot missiles rather than the Russian system, arguing the S-400 is incompatible with NATO systems. But Turkish officials countered that Ankara would not go back on its agreement with Russia, even if it were to also buy Patriots, and also complained that up to now its allies have been unwilling to sell it missile defense. Patriot missiles are used for defense purposes to shoot down incoming missiles and attack planes. On the economy, President Erdoğan said despite rising challenges in the global economy, Turkey has the capacity to show "positive growth rates" beginning in the second quarter. "We have left crises behind us," he stressed. President Erdoğan said this year will see development move to a "much better place" for Turkey. 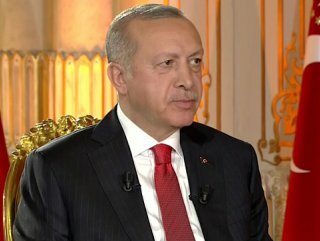 Responding to a question regarding Israeli Prime Minister Binyamin Netanyahu, President Erdoğan said that Israeli premier was accused of corruption and bribery ahead of the coming elections in Israel. "You are cruel enough to persecute woman and children there [Palestine]," President Erdoğan said and criticized Israeli soldiers who he said disturbed Muslim holy grounds with their boots.